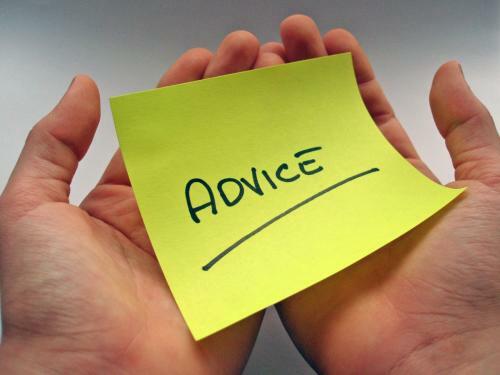 With many issues people are always willing to give free advice to help a friend out. This can be a good thing – if you want to know what car to get next, you can be sure one of your mates will have an opinion to give. If you’re stuck about where to go next on holiday then I’m certain just about anyone will be able to recommend you somewhere to visit. However if you’re having some tax difficulties, most people’s eyes will probably glaze over and they’ll shift uncomfortably before trying to change the subject. It can be a tricky subject to give advice on after all. Not only is tax boring and stressful but its not something that just anyone can give advice on – unless of course they’re an expert. That’s where tax advice differs from advice on your next car, or your next holiday. It’s quite important (after all you can get in all sorts of trouble if you fail to declare tax or do something wrong with your money). You can’t exactly go wrong when choosing a car (unless you buy a French one of course!) whereas you can go wrong when choosing how much tax you pay, or what tax scheme to follow, or what legal investment advice to take to minimize the amount of tax you pay out. For this reason you may want to seek out the advice of someone who knows what they’re talking about, or in other words a financial or tax advisor. There are 5 ways in which you can get free IRS tax advice listed in more information below. The IRS General Helpline is available on 1-800-TAX-1040. If you contact this line you will be put through to trained IRS staff who will be more then happy to help out with your tax law or account queries. You should have your personal information at the ready – social security number and so on. Some people may prefer to talk directly in person regarding their tax matters instead of having to deal with things on the phone. Maybe you have some paperwork from the tax office that you don’t understand, or want help filling in a tax return. You can search for a local assistant center and just turn up where there will be people willing to help out with any of your tax questions. The Taxpayer Advocate Service (or TAS) is an independent organization within the IRS which was set up to help deal with problems involving yourself and the IRS. If you feel like you’re banging your head against a brick wall when communicating with the IRS then get in touch with your local TAS. You can call them to see if they can help on 1-877-777-4778. Apologies if you’ve already thought of this one, but if you do find yourself in a tax conundrum then perhaps your first port of call should be the IRS website. Here they have a wealth of information – guidance sheets, tax sheets, and various other helpful documents. If none of the above has helped you to solve your tax queries then why not try having a search on Google? There are hundreds of forums specifically aimed at helping individuals with their tax issues, with many highly qualified people more then happy to help out. Try Googling what it is that you’re having difficulty with, as we’re sure you’ll be able to find someone else in the world who’s had a similar problem.